I am newly introduced to this life style even though I have had some little within limits practice, I am looking for a committed master and slave relationship with a master who is understanding patient and tolerant for someone who is new and willing to learn so much but with considerable understanding and patience , I am open to new practices and I could have limits in the beginning but hopefully I am ready and I have the ability to learn fast and adapt to dominant desires. 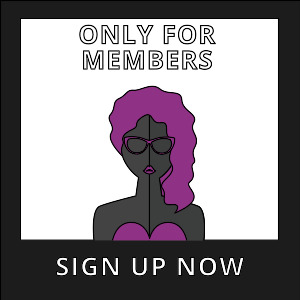 subsexually has bought a Premium-membership! I am newly introduced to this life style even though I have had some little within limits practice, I am looking for a committed master and slave relationship with a master who is understanding patient and tolerant for someone who is new and willing to learn so much but with considerable Read more… understanding and patience , I am open to new practices and I could have limits in the beginning but hopefully I am ready and I have the ability to learn fast and adapt to dominant desires.